Sunday Update – Quiet Reflection Stuns in Sandy Lane Stakes. Quiet Reflection lined up in the Group 2 Sandy Lane stakes yesterday where Dougie Costello was aboard the Karl Burke trained 3 year old. Fresh from a Group 3 win in France, this daughter of Showcasing was aiming for her 5th win in 6 starts and her 3rd Group win in a row. In the lead up to this prestigious race, Karl and all of the Ontoawinner team were bullish about our chances. The feeling was she had come on significantly from her run in France and we were should we would be seeing a different animal on the day. She traded at 10/1 in the lead up to the race but some shrewd judges tipped her up and that saw the money come, she was sent off a 7/1 shot on the day. QR was drawn in stall 3 for the 7 runner event. From the off Dougie was happy to sit in behind off a good pace. Quiet Reflection was travelling supremely well and at the 2 furlong marker, Dougie angled her out to the side of the field and began to make his move. Approaching the furlong marker Dougie pressed go and she showed a frightening turn of foot to put the race to bed in a matter of strides, she ran out the winner by just under 4 lengths. “That’s massive for me and the team,” he said. “She’s just a push-button filly. In France, she was a little bit keen to post and probably didn’t travel as well as she did today. I felt she could be a 10lb better filly. Reflecting on the style of her victory on Saturday, Karl added: “There was all this talk of her not getting six but I was always confident she would. “She’s a different filly to the one who went to France, she’s matured and our horses weren’t particularly running well at that time. 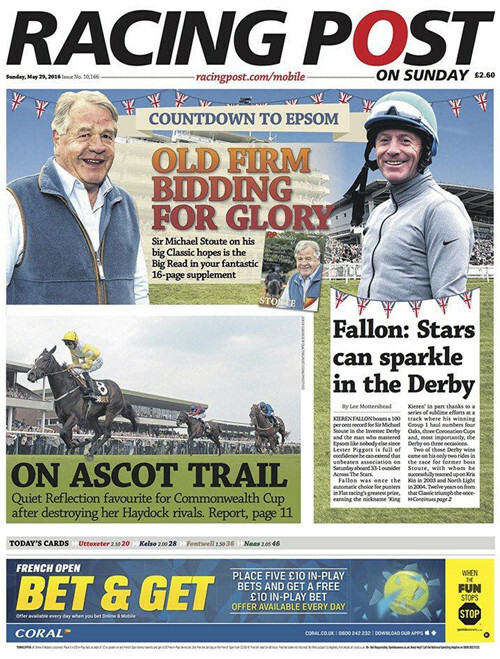 It’s fair to say, this was a massive victory for her owners and for all involved, Quiet Reflection is a star and will now head to Ascot, with her most likely destination the Commonwealth Cup. 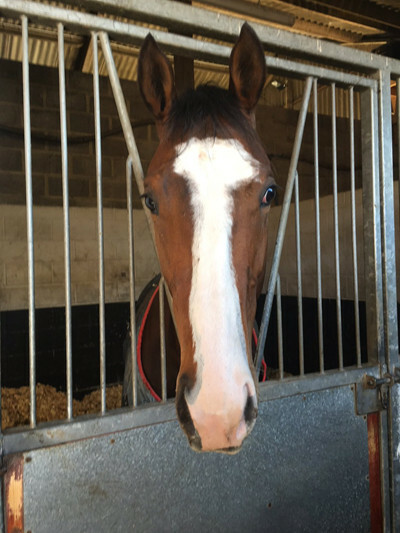 A huge well done to Jordan, Dougie, Karl and his superb team for all their hard work and deserved success and also huge congratulations to all of her owners, dreamland! We had 2 runners during the week with London Protocol lining up at York on Wednesday and Yourartisonfire running at Newmarket on Friday. 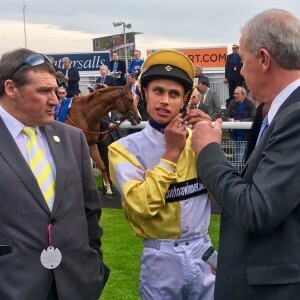 Jordan Vaughan was booked to ride London Protocol in what looked a very competitive handicap at York. LP was drawn in stall 5 for the 20 runner event. From the gates, Jordan was very positive on the Karl Burke trained 3 year old and held a prominent position early on. At the half way point, he was in a share of the lead and travelling well down the Knavesmire towards the 3 furlong marker. As they approached 2 out, LP was coming under pressure and Jordan got more animated in the saddle. LP faded a bit towards the latter stages and finished in 11th position. He looked fantastic on the day and is sure to be winning soon. Yourartisonfire ran on Friday at Newmarket in the Leonard Oram Retirement Handicap where Martin Harley took the ride. From the gates, Martin positioned Yourartisonfire down the middle of the Rowley Mile. Around the half way marker, Martin asked Yourartifonfire to get closer but he didn’t get a response and began losing ground on the leaders. Martin let him come home in his own time, a disappointed effort from Yourartisonfire, we are hoping to see an improved horse next day. It was great to see a couple of 2 year olds run today at Ripon. Our Charlie Brown was first up as he ran in Division 1 of the Novice stakes where David Allan was aboard the Tim Easterby son of American Post. He had a poor drawn in stall 1 for the 8 runner event. He showed signs of greenness early on and David was stuck out wide on the track. Having let the others go on, he was able to tuck in on the rail and began to get the hang of things. It was all about education today and he will come on for the experience. Next up was the Ben Haslam trained Vaux .The Sir Prancealot colt was making his second start under Joey Haynes. Vaux was drawn in stall 6 for the 8 runner event. Vaux reared slightly leaving the stalls and Joey kept him to the outside of the field in the early stages of the race. He showed signs of greenness early on but the penny began to drop in the second half of the contest. As the approached the final furlong, Vaux began to challenge the leader who had the benefit of rail, Vaux was just denied and finished an excellent second. A winner waiting to happen. Vaux ran on Monday at Southwell over 5 furlongs where Joey Haynes took the ride. There were 4 runners in the contest. Vaux bounced out well and showed good early speed to contest the lead. During the latter stages of the race Vaux tired a little and ended up finishing in 4th position. Joey reported that he wasn’t a fan of the kickback and that the other horses had racecourse gallops that stood to them. It was a pleasing debut from Vaux in a good maiden. 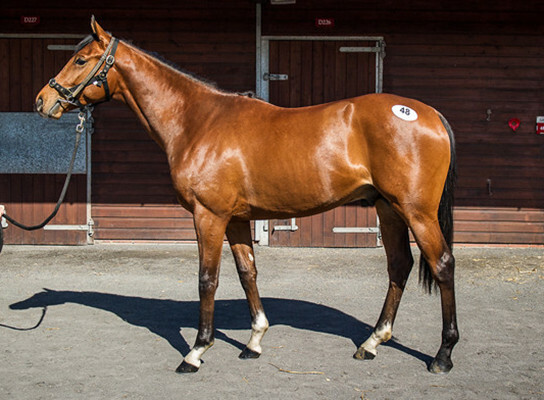 Ben will now look for an entry over a stiff 5 furlongs for the Sire Prancealot colt.He is pictured below back in Bens, looks pleased with himself! 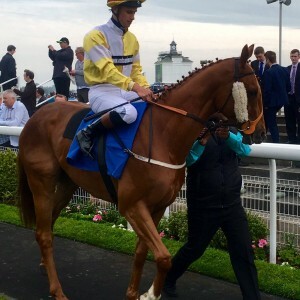 Fast Shot ran at Pontefract on Wednesday over 6 furlongs where Rachel Richardson took the ride. Fast Shot had opened up at 8/1 on Tuesday night and was supported into 5/2 favourite by the time the race started, leading to the team at Ontoawinnner towers scratching their heads in amazement. He broke quite well and held a nice position on the rail turning for home. As the field began to stretch, Rachel asked Fast Shot to improve but got no response and he finished in 7th position. The horse is fit and well but not firing at the moment, we hope to get to the bottom of it sooner rather than later. Yeeoow ran today in a hot class 2 handicap at Newmarket, he was drawn on the wrong side in stall 1 for the 16 runner event. He broke very smartly and was up with the blistering pace throughout. As a couple of horses went clear, Yeeoow showed his courage and battled on gamely to finish a fantastic 4th. 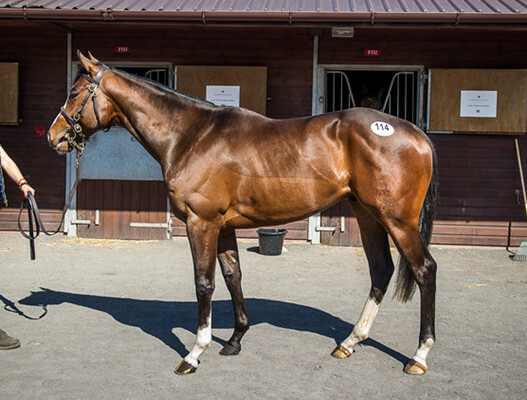 What a tough and genuine horse the Karl Burke trained gelding is, he has given his owners some great days out recently and is in for the form of his life.